Our philosophy of client partnerships that stop nowhere short of complete success has seen us grow and prosper through the achievements of our clients. We do not see ourselves as merely suppliers, but more as enabling partners that go the distance until goals are reached. We deliver your media production needs on a pedestal of excellence, quality and value. The Unisite Business Suite software allows you to build your way to business heaven online. Imagine being able to build the perfect business solution through software that you tailored to create a web-based business system that was perfect for you, your staff, your clients and your business? Building a bespoke software system can cost the earth, but building your own software suites into a modular system that is unique and perfect for your business is incredibly affordable, and the benefits of correct automation in your business will go straight to your pocket. The Unisite system meets all your business needs, from beautiful content-managed websites, through to direct marketing communications, accounting packages and project management systems. Just put your Unisite suites together and enjoy the benefits of an affordable, responsive and flexible system that is just perfect for you - it's tetris for businesses! One of the wonderfully unique aspects of the Internet is its easy global reach. With an online business you can function 24 hours a day, be available to a global audience and increase profit margins by selling direct. The Unisite makes business so much better, and can be adapted to function within any size of business. The modular system means that Sesalos can take your web business from scratch to final conclusion, or you can purchase modules and work your own way. Unisite Business Suites are available as web, communications, advertising, invoicing, sales, projects, e-commerce and accounting modules. They are completely flexible in the look and feel of the suite and range from total customisation to template design needs. 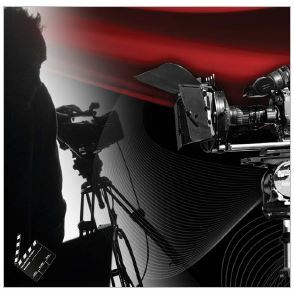 With fully equipped three TV and Video Post- Production studios, Sesalos is primed and ready to produce the innovative and effective visual concepts that you always thought would be too expensive. Providing KZN business with cost-effective production opportunities backed by top quality conceptual creativity and technological innovation is a proud niche held by Sesalos. High quality corporate videos give a major edge in the professionalism stakes. 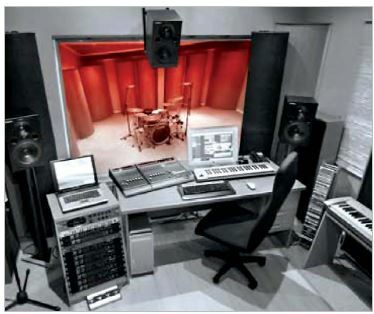 A team of Sesalos talent waits with bated breath in our two top-class recording studios. We cover radio advertising through to producing international music recordings for South African musicians, and everything in between. Fully equipped with ISDN capability, our recording engineers and producers are accomplished composers, arrangers and musicians, just waiting to unleash this talent on your jingle or theme song. Some of South Africa's top businesses have benefited from the work Sesalos has produced. These include the KwaZulu-Natal Top Business Portfolio, Trade and Investment KZN, Department of Welfare, University of KwaZulu-Natal, University of Pretoria, Yamaha, The Witness Group, Unilever, Ogilvy, International Congress of Psychology, Mr Price, Woolworths, Thompsons Africa, Workwear Depot and Veridot. The team at Sesalos are here to partner YOUR success! Nothing is more satisfying than seeing our clients achieve their goals in less time and with less capital expenditure than they thought was possible.